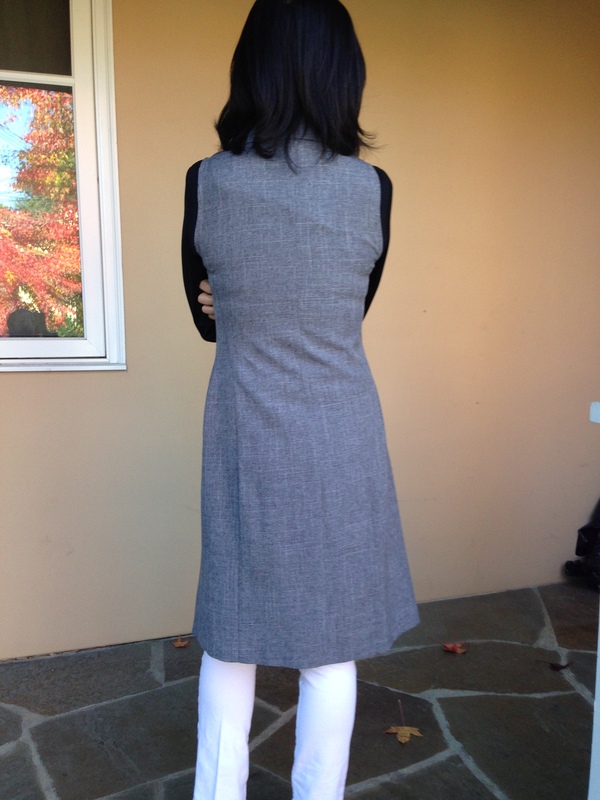 The weather in northern California can be unpredictable with wild swings from morning to night, so I made this sleeveless coat as a stylish layering piece when I need some extra warmth. 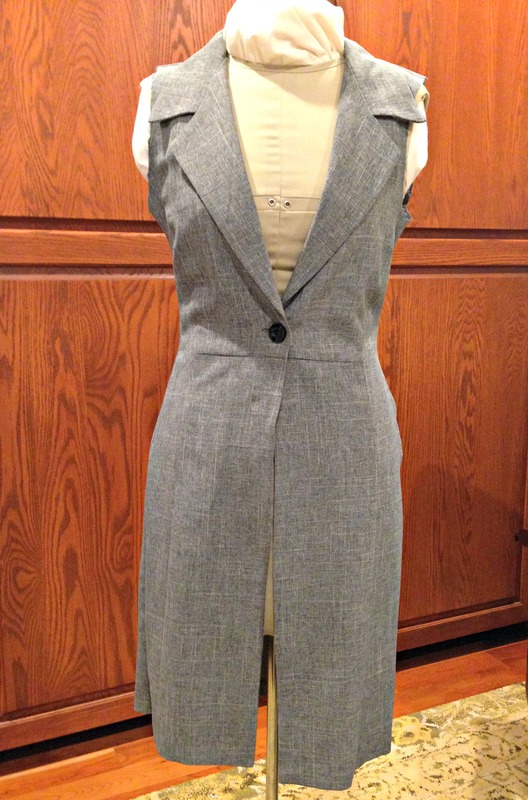 In this tutorial, I’ll show you how to make a sleeveless coat by refashioning a thrift store suit. This easy project took me only a couple of hours to complete over the weekend. 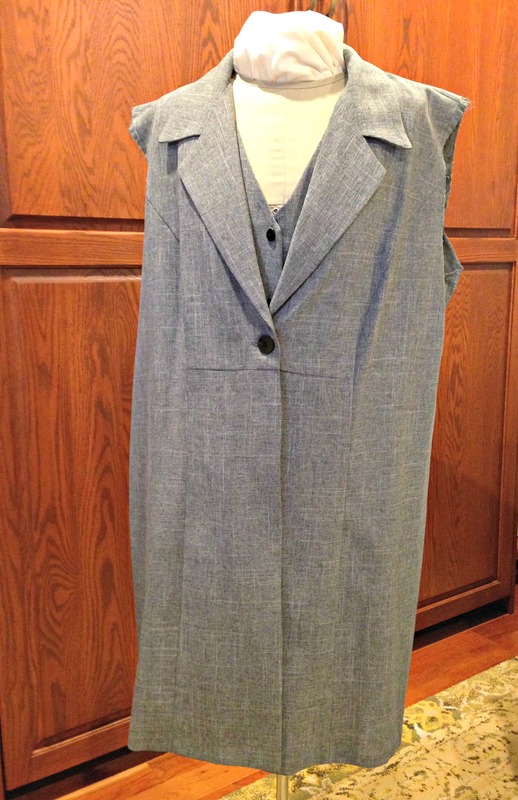 Here’s a quick overview of this on how to refashion a suit into a sleeveless coat. If your coat fits you well, skip to Step 3. 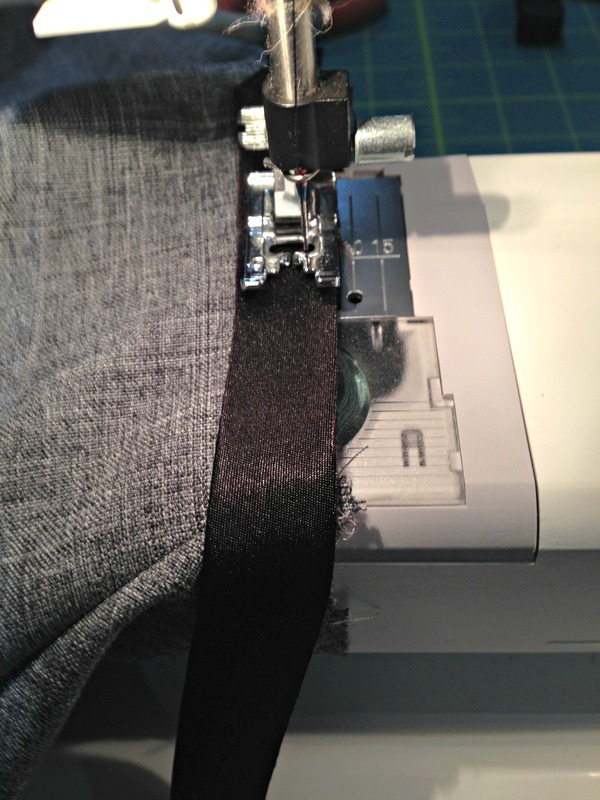 Pin the sides and trim the excess fabric. Adjust armholes if you have any gaping. 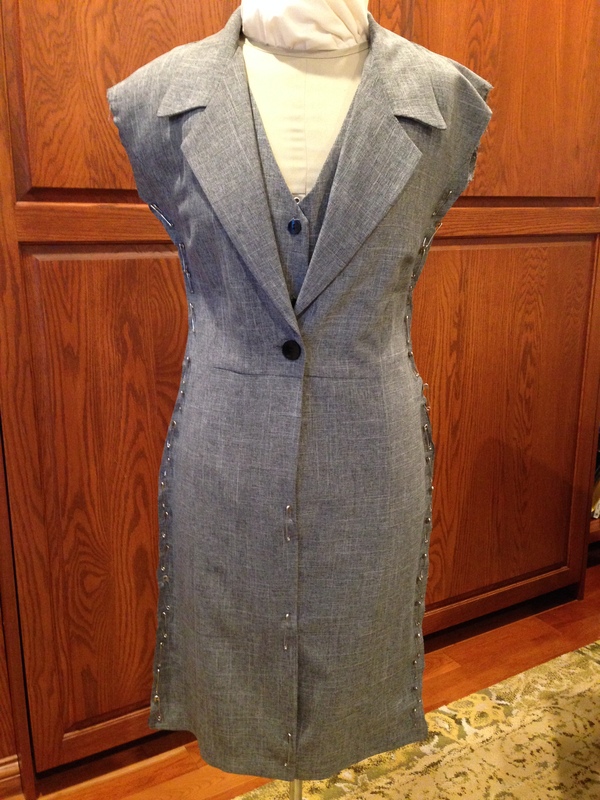 Fix the gaping by taking in the excess fabric at the shoulder seam or adding armhole darts. 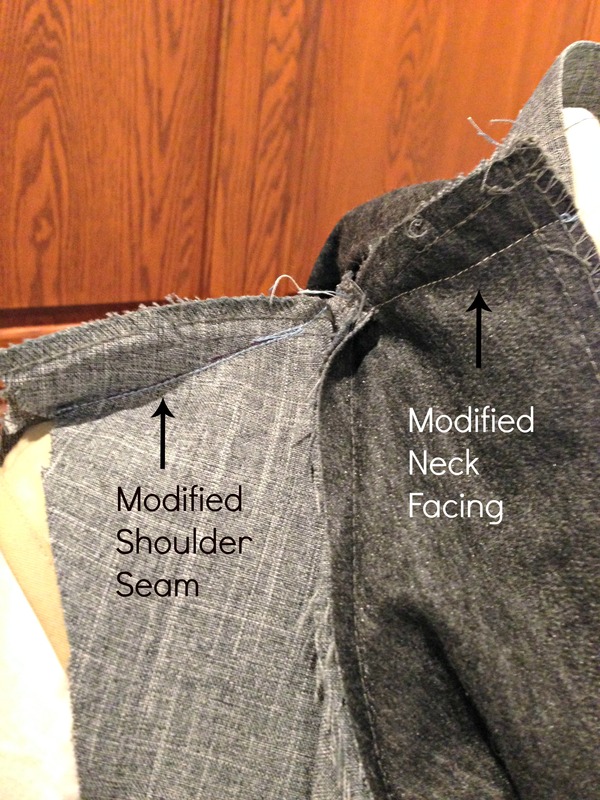 Make the same shoulder adjustment at the collar facing if needed. Finish the armholes with bias binding. 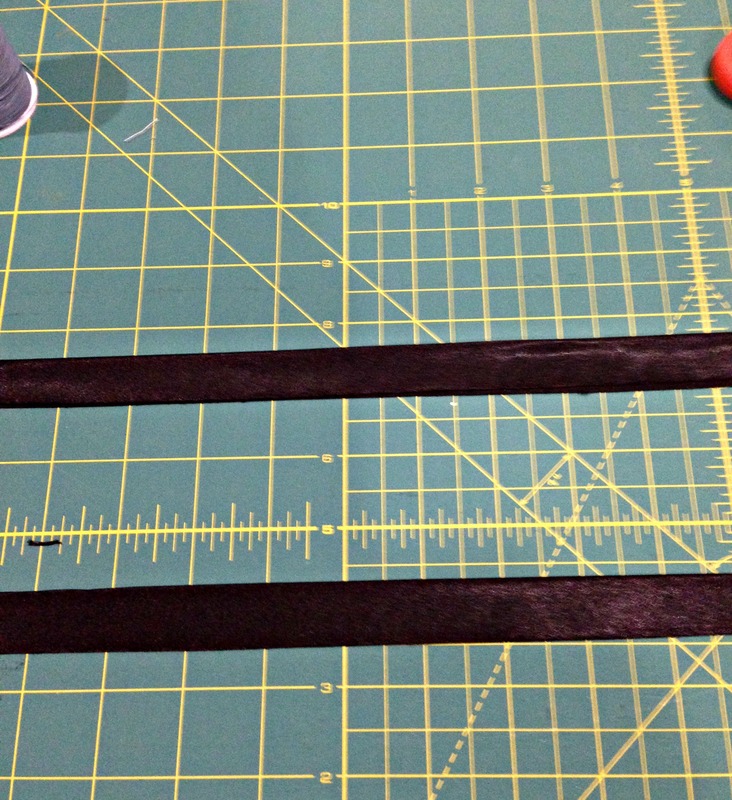 Cut two 1.5″ strips of black fabric 1″ longer than the armhole opening and press it lengthwise. 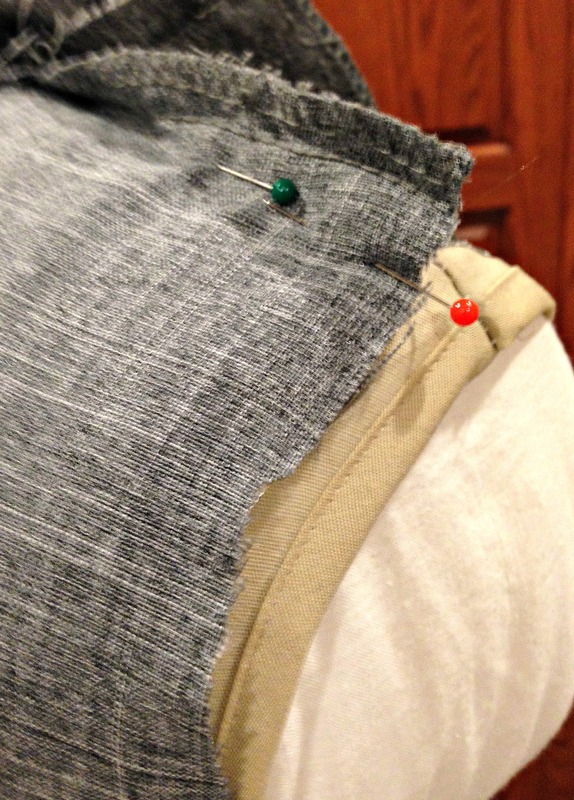 Sew the bias binding to the right side of the armhole, flip it to the back and stitch it down from the front. 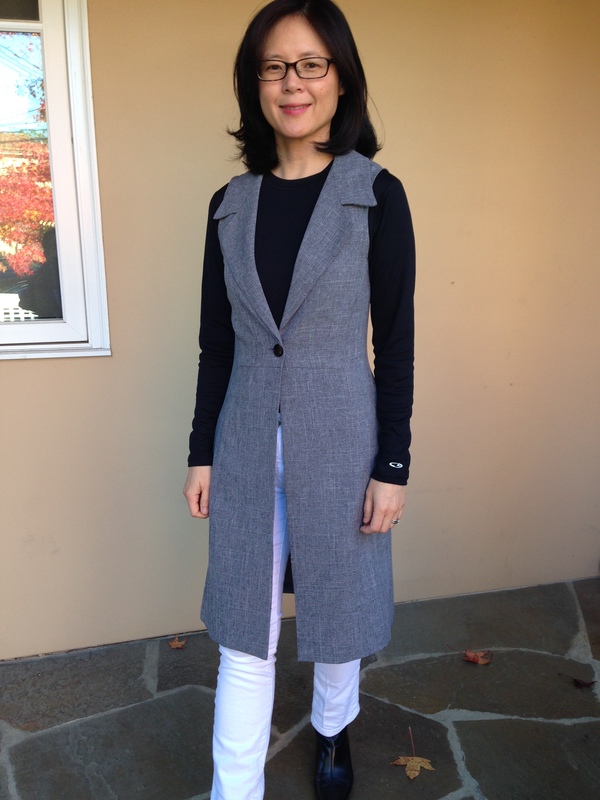 I like how this upcycled sleeveless coat dressed up my outfit. The coat added a touch of menswear that was polished and pulled together. It certainly jazzed up the everyday jeans and t-shirt I’m wearing. 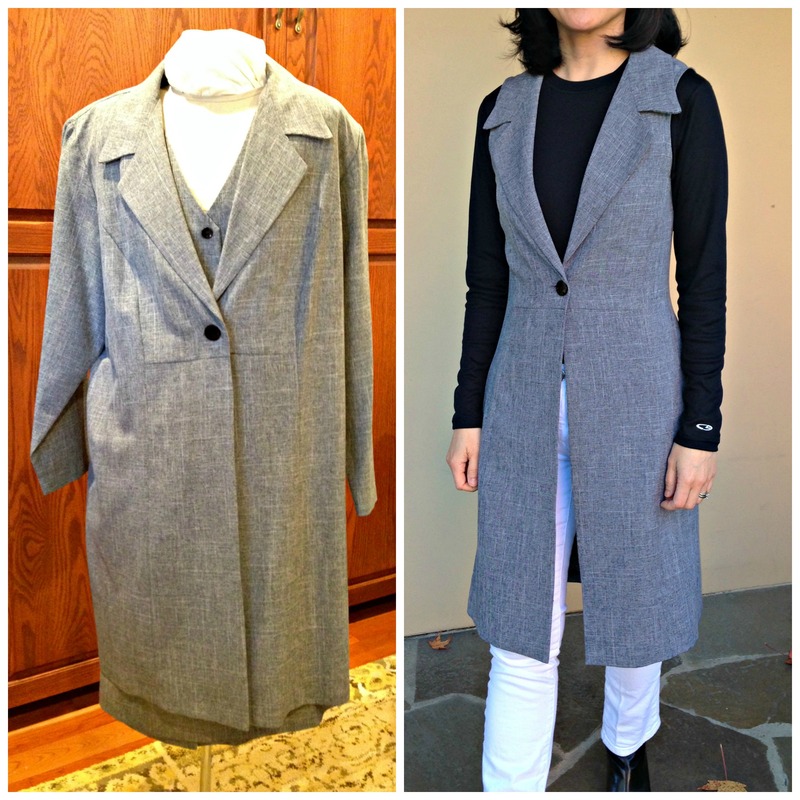 If you start with a well fitting coat, you can finish this project in 15 – 30 minutes. Just chop off the sleeves and finish the edges. Since my original suit was enormous, I had to spend a little more time altering it to fit. Did you enjoy this project? Let me know in the comments or share with your friends! Beautiful refashion. Great idea for a coverup piece. Well done. Love this! Your new coat looks wonderful and is definitely an improvement on a daggy old fleece… no matter how comfy! Did you dye it? And how? because it looks a totally different color than original picture. Looks beautiful. That’s just my bad photography on my crap iPhone. The before shot was indoors and the after was outdoors. The good news is that I’m taking photography classes, so hopefully you see a dramatic improvement in my photos. I love re-purposing my clothes- it’s wonderful for those “mistakes”- the things that we buy that we don’t ever wear because there is something not quite right about it- yet we refuse to give it away because we feel guilty, and we think that one day it will work for us- NEWSFLASH It will never be right!!!! I love your ideas, keep them coming!! Hi Jane. Thanks for your feedback. 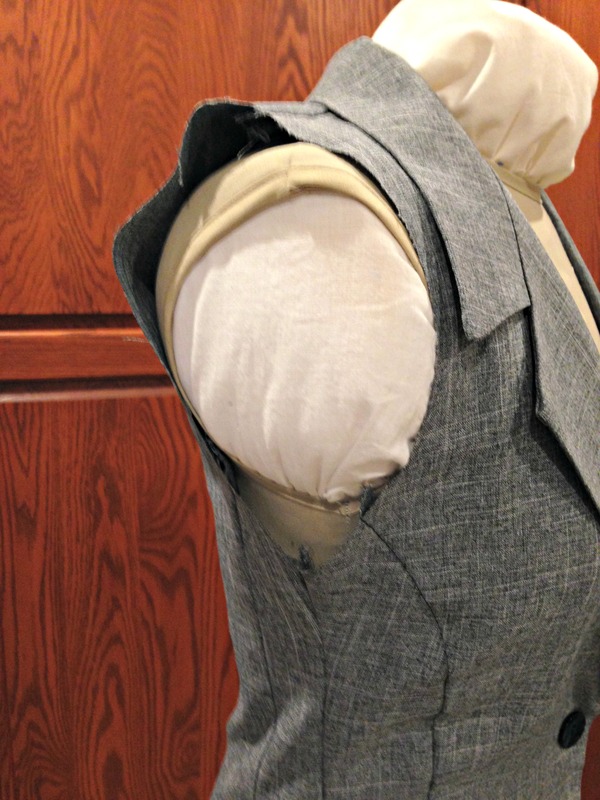 You can still make a sleeveless vest quite easily if you start with a garment that already fits well. All you have to do is remove the sleeves and finish the edges. My project was a little more complicated because my original garment was so huge and required quite of bit of tailoring to fit well. Give it a try.